Wedding ideas magazine have been telling their readers about the 2013 finalists. For the third year running Creatiques have been nominated by their brides as The Retailer of Year for 2013. We are heading of to London on the 11TH january to a glittering party hosted by the team at the magazine, we are very much looking forward to seeing all the top wedding industry finalists. 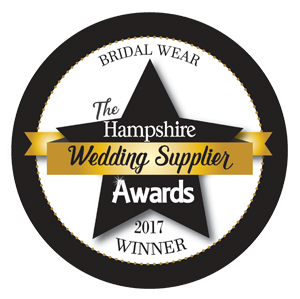 Brides that want a one-stop shop for their dream dress, bridal party outfits, hair and make-up, look no further than the wonderful Creatiques boutique in Southsea. Renowned for offering excellent customer service, owners Robert and Andrew will give you the shopping experience you always wanted. You’ll find the latest Justin Alexander, Mark Lesley and Sincerity collections here, among other big names in the industry, plus gorgeous shoes and accessories for the big day.